Scroll down to see our various Idaho Falls menu selections and then click on the links of your choice to see that specific menu. Some menus will link to a .jpg image or a .pdf file. Simply hover over (PC) or touch a menu (mobile device) and click the link when it flips over. Please keep in mind that all Jakers restaurants have slightly different menus. Furthermore, we constantly strive to offer new and exciting selections. Feel free to call your local Jakers with any questions you may have regarding our current menus. Additionally, prices are subject to change. In a hurry? 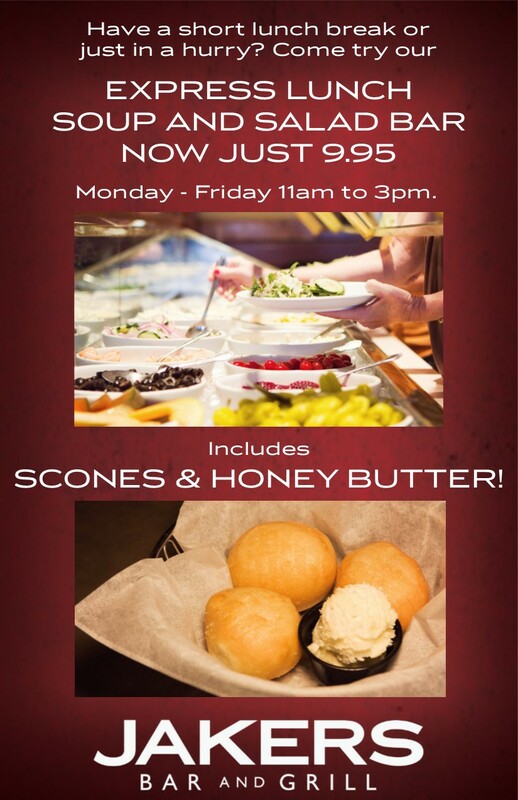 Right now, you can enjoy our Express Lunch special... Soup and Salad bar for only $9.95. Monday - Friday during lunch hours (11am - 3pm). Not valid with other offers, discounts or specials. The portions smaller and the prices are lower than dinner, but still includes all of the Jakers classics and enough to send you away full and satisfied. Includes a little bit of everything… Appetizers, soup, salad, wine list, etc. Served during normal lunch hours. 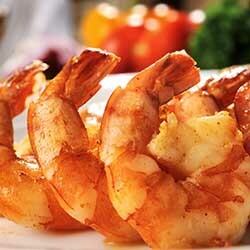 A savory dinner menu filled with great meals and exclusively for our guests over 60 years of age. Great food, modest portions, and affordable prices. 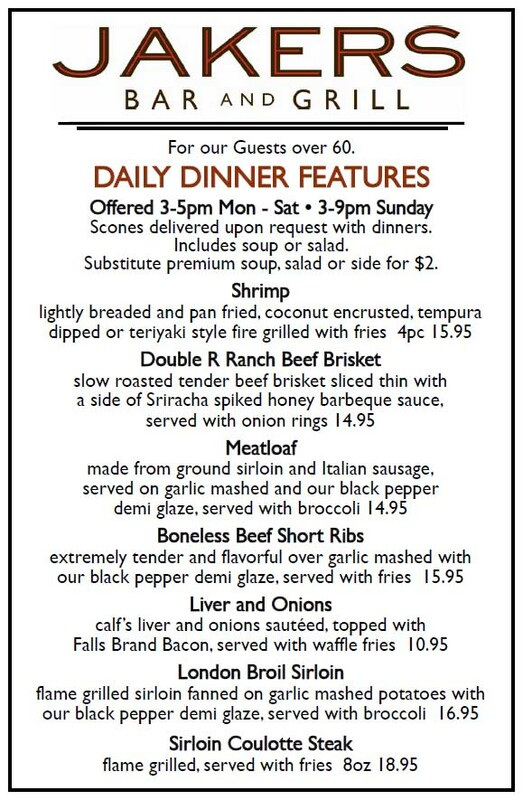 Daily Features Menu - Especially for guests over 60 years of age. Our Jakers “Smart Plates” menu is especially designed for our guests over 60 years of age. Expect lower prices and smaller portions throughout. Includes a little bit of everything… but with smaller portions and modest prices. Exclusively for Jakers guests over sixty years of age. Our dinner menu includes many of the same items as our lunch menu with a few select signature Jakers meals… Appetizers, soup, salad, wine list, etc. The portions are larger than lunch but still at modest prices for the high-quality meals we prepare. Served during normal dinner hours. Nothing is lacking on our Vegetarian and Gluten Free menu. Designed for guests focusing on healthier meals and more moderate portions. Includes a little bit of everything while focusing on Gluten Free and Vegetarian meals. Served during normal lunch and dinner hours. Jakers has a soft spot for kids, so we’re always sure to have a few of their favorites ready to serve. 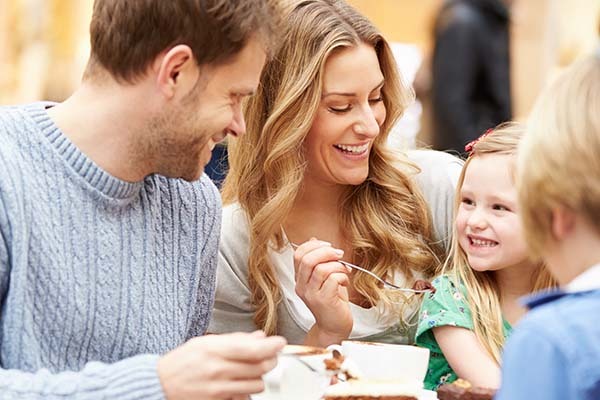 Friendly and tasty kids meals they'll love! Note: If Kids Menu is not shown, please free to call and ask what we’re cooking up for kids right now. Jakers always includes signature desserts that can be shared by two. Come in, enjoy your meal, and save room for dessert or take it to go. We frequently change our desserts at Jakers. Feel free to call and ask about our specials. Everything you need to know about Jakers, our food - drinks - appetizers - desserts… in one big Bar Menu. See what goes into the Jakers experience! Learn a little about Jakers and how we do things! When you use our Open Table ordering link (above) to make reservations at Jakers, Open Table will send you a “How did Jakers do?” email to give you a chance to rate us for the reservation you scheduled. 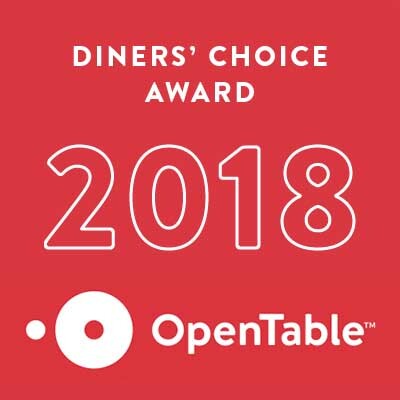 Our teams work hard at Jakers – and we thank you for your honesty in your reviews that helped us win this prestigious Open Table award! Group of 9 and everyone was satisfied with quality and taste of everything ordered. Upper class atmosphere and superstar service by Allie. A favorite for sure. The best meal I’ve had in Idaho Falls. Thank you Jakers!! Love love LOVE Jakers! Never had a bad meal here. When my brother, who is a chef, comes to visit from out of state he always wants to eat here. Real food done really well. Thanks Jakers for consistency and excellence. This is at least our third visit to this location. The service was, as always, awesome. The staff is very professional and knowledgeable. We had potato skins and crab stuffed mushrooms. Both were delicious. Followed that up with the smaller cut of prime rib. We really enjoyed Jakers! The food, wine, & service was excellent! Our server, Brandy, was super friendly! If you’re ever in Idaho Falls, definitely worth trying! Without question, Jakers is always a great choice for a superb meal in a very clean and well managed restaurant in Idaho Falls. 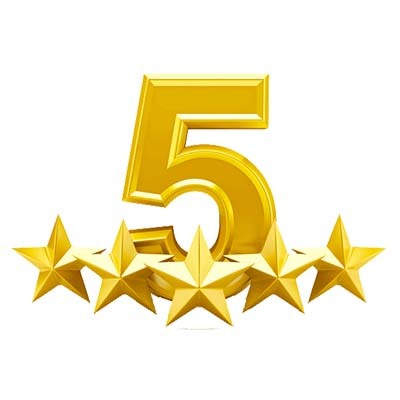 The entire staff is always cordial, attentive and they respond promptly to customer requests. Kudos to Mayo, Jessie, Patty et al – well done! The food and service are always top notch. We have never been disappointed! Swanky place that really understands the business lunch crowd (FAST table service). Food was delicious and service was extremely hospitable. Headed back for dinner soon!